Following Macauley Peterson’s excellent article on the Chess.FM blog, we have discussed some of the drug testing issues with IM Alisa Maric. 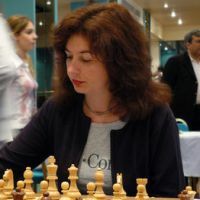 Ms. Maric has achieved tremendous results in her chess career and is also representing Serbian Chess Federation in the Presidential Board of the National Olympic Committee, which qualifies her as a very competent speaker on the subject of anti-doping regulations. “It is quite clear to all people interested in chess that case against Vassily Ivanchuk was completely ridiculous. The procedure that dismissed this affair, however, warns for caution. We didn’t see an attempt of finding systematic solution and establishing the rules that would regard specific attributes of chess, but instead the case went down the path of lesser resistance. So what would this mean? On some future competition, a not so well-known player will find himself punished in the similar situation because the rules will be strictly executed. The public is not capable of protecting all and every player. The real solution requires FIDE to open a dialog with IOC and asks for a change of the related Codex articles that will apply only to chess. This request should be backed with serious studies and documents that would prove that known doping substances do not affect chess play. The determination that IOC exerts in the fight against doping should be properly channeled for chess and transformed into fight against the abuse of modern technology. IOC strongly protects fair-play and sports spirit and it is very important to have FIDE proving its resolve to protect chess as mind sport and in the Olympic spirit. Not all national chess organizations can influence their respective Olympic Committees in the same manner. This is the responsibility of FIDE. Read also “Chess can be interesting for TV audience”, an earlier interview with Alisa Maric.